Classipress has all the features you need to create a fully functional website with tons of features and flexibility – basically everything you need in a classified site. Here are the top 10 reasons why Classipress Wordpress theme is one of the top templates used to build a Classified Ads website just like Craigslist or a site like Kijiji. 1. Classipress is SEO friendly. Add classified ads to your site and the content will be indexed quickly by google. You can concentrate on building up your site instead of trying to win traffic. 2. Classipress has Customer Ad Management. People who add postings to your classified website can manage their own postings. 3. Classipress has Free or Paid Ads. Featured ads are shown on the frontpage and on the rotating carousel. You can charge extra money (like Kijiji) to display classified ads in this section/category and request payment via Paypal. 4. Classipress has auto-complete & Suggest search. If someone mistypes a search keyword and returns classified ads, Classipress recognizes misspelled words and suggests a keyword with a similar spelling. 5. Classipress has a Coupon Module. Create time sensitive coupons. You can specify coupon code, coupon discount, # of coupon max usage, coupon start and end date, and the coupon status. 6. Classipress “No Plugins Required”. 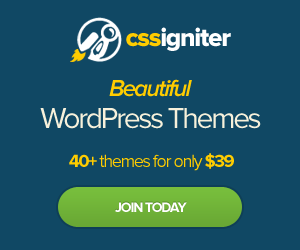 Other classified templates you need to add different types of plugins to get your site fully functional, but with the Classipress you get everything when you purchase the theme. 7. Classipress is Twitter & Facebook friendly. There is a facebook “like” button and you can also add on a twitter AJAX real-time sidebar to your classified ads site. 8. Classipress is Monetized. Classipress includes many advertising hotspots on your classified website. 9. Classipress Ad Performance Reports. Track and display the most popular ad on the Frontpage to generate more visibility to the ad based on ad performance reports. 10. Classipress has Customized Emails & Alerts. You can now customize messages that get sent to new users when they register on your site. Classipress template is practically plug and play, you can create your own Craigslist or kijiji like site in just minutes. I only listed a couple features in the Classipress template available from www.appthemes.com. 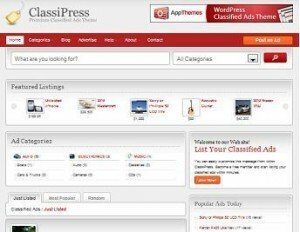 You should check out the Classipress demo here or download Classipress classified ads wordpress template here. i want to create a website that has the same style almost as kijiji or craigslist. How do I go about doing this for free? You can use Joomla and install their ads manager component. Joomla is a little more difficult to use and great content management system. The classipress wordpress template is probably the easier way to manage or create a site with the same style as kijiji or craigslist. I would spend the extra money on the Classipress, it’s definitely worth the money. When you install it you’ll see the ease and simplicity of their design. Enzolina, are you for hire? I have a real estate website (mainly informational) but I need your feedback please. I am interested in create a web site like gamefly and netflix for game and DVD, on demand download. How can I go about it? I created a post for you How to build a site like netflix. What do you think the best way is, with a craiglist-type site, to charge customers to place an ad. Is this functionality built into the Joomla modules? If you are creating classified ads with Joomla, I would recommend to use Almond Ads or the DJ Classified Ads component. Almond ads has the functionality of a fee based system for certain categories you will need to jump to the Pro edition which cost $195. You can also look into DJ-Classifieds Ads component to have free and paid classifieds (paypal). DJ Classifieds is also free to download. Hello Enzolina I have a qestion for you for Standard option one which is $99 is it montly or one time paid life license. Also I found that the 99 dollar package is the same feature as $159 dollar one….my third qestion for you is do you have to be complete web developer to run Classipress like kijiji or craiglist.. i do have a knowladge of XHTML,HMTL,PHOTOSHOP and CSS. can you please let me know thanks. Really? Let me see. Yeah there is a slight difference between the $99 and $159. The Photoshop (.psd) design files are included in the Developer edition while it is not included in the Standard edition. There is no need for any development knowledge to use ClassiPress. After you install the template, it is ready to use – meaning you can start adding your classified ads. If you wanted to, you could do some development work on it. Although support will only cover the original layout and configuration. I wanna know what requirements are needed to install it on my laptop to do my designs before hosting it? I wanna know how much will this website cost me if i host on Godaddy? I am interested in making a Craigslist type website. What is “web hosting” and how is it used in conjunction with Classipress? (I think it has to do with the internet traffic but I’m not sure.) Also, is there a way to test how the set up works before you buy it? I just need to be sure it does what I need it to but I can’t tell from the above information. Thanks! What is “web hosting” and how is it used in conjunction with Classipress? >Basically web hosting will store all your website files needed to create a website so people online can view it. Also, is there a way to test how the set up works before you buy it? >If you go to the AppThemes, there is an admin demo where you can see how the Administrator section looks like. The Live demo you can view how a visitor will see your site. >If you go to Appthemes again, and under ‘SUpport’,’documentation’, you will see a ClassiPress heading, click on the ‘Getting Started’. There are instructions on how to install WordPress and ClassiPress. Thanks for your visit and let me know if you have any other questions. This will most likely be a very easy and green question for you. I’m looking to create a site like craigslist. Will Classipress provide me with a website and domain or will I need to purchase from a web developer etc? If I do need to find a website provider do you have any suggestions? I’ve created a post on the cost to create a classified ads website like Craigslist or Kijiji. I hope you found it already, if not, you can click here to see my post and recommended web hosting providers. There would also need to be space for paid advertising. I am looking at turning this site into a Groupon type site. Do you have a model that would work for this? It would again be free to post coupons but we would take zero commissions. It would be based on ad revenue. My concern would be filtering out spam coupons with profanity….any suggestions? I am also looking for help to turn this site into a strictly ecommerce site. Any advice? I am not a web guy only an idea guy. How would you recommend I do this to generate the most revenue and make it the easiest to operate on the back end? I have access to the best product deals out there. I’m looking at creating a joomla classified ad site like kijiji or craigslist. Would be grateful if you can guide me through this process by recommending a template and components to use. I’m experiencing some small security problems with my latest website and I would like to find something more safeguarded. Do you have any suggestions?